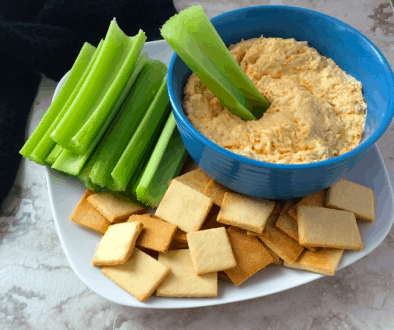 This is an eggless keto pie crust. 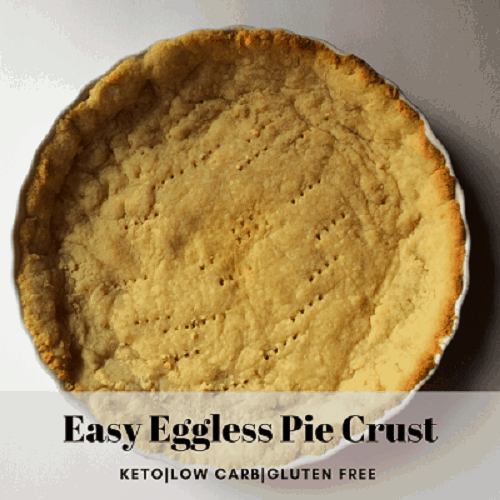 When I first started keto I wanted to make a pie, so I went on the hunt for a keto pie crust recipe. What I found was that they all use eggs in their crust. However, I did not want to add extra eggs to my pies, so I decided to come up with my own recipe. I did this by using my mom’s regular crust recipe as a basis for how I could adapt it to keto. What I came up with is what you see on this page. 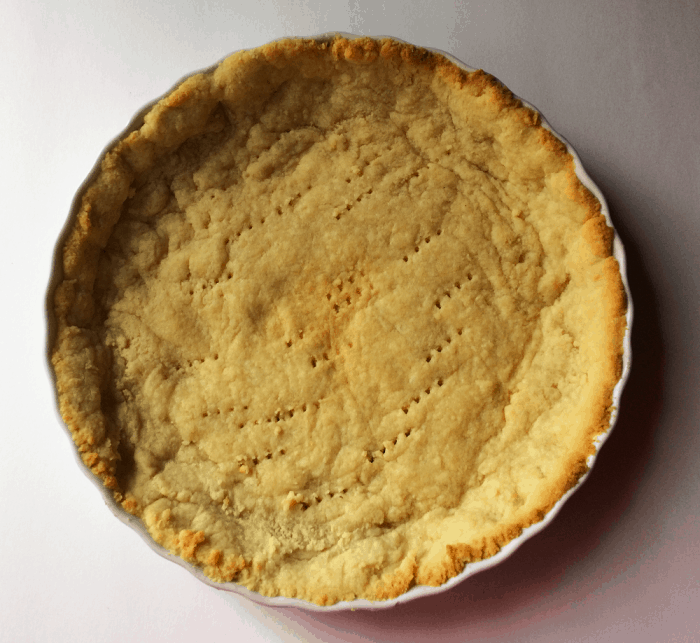 It is a great pie crust, flaky and just as good as the pie crusts that have all the carbs in them. Also, there is the added bonus of no extra eggs. I personally don’t like adding a lot of eggs to my baking, even for keto. The reason why people do add eggs is that it creates stability in the baking. I just wanted to find a way to avoid it because I do not like the eggy taste. 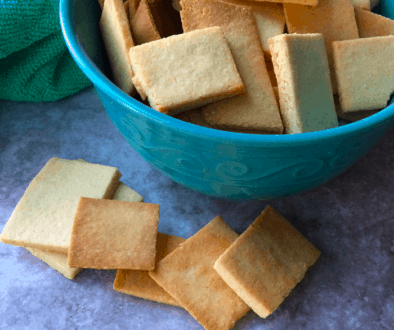 Make sure that when you make this recipe that you use very cold butter and I would recommend using a food processor, but if you don’t have one you can just use a pastry cutter. I don’t have one, but I am sure that would work too. I used to use a butter knife to cut the butter in, however, a food processor is a lot easier. Just be careful to pulse just until it is crumbled and coming together as a dough. If you pulse too much you will have almond butter. You can use this for any of your favorite pie recipes or our pie recipes such as My Great Grandma’s Keto Chocolate Pie. We also have Keto Lemon Meringue Pie Enjoy!! Add almond flour, erythritol, and salt to a food processor. Cut up butter into cubes and add on top of almond flour. Pulse to combine. Don’t mix too long because you will get almond butter. Remove from food processor when fully combined. It should look like dough. Press into the bottom and up the sides of a greased pie plate. Tip: you can use a sandwich bag to help you to press into the pie plate. Bake on 350°F for 10-12 minutes until light brown.